So what do they do? Among other things, they use previously learned facts and know-how to build solutions to problems, problems that they initially have no idea how to solve. In MathsCraft sessions, teachers and students get to do just this, in a supportive, collaborative, conversation rich environment. The MathsCraft session leader poses problems, provokes participants and organises the sharing of the ideas that are being had in the group. The problems are constructed to give students and teachers an authentic experience of doing mathematical research, at their level. 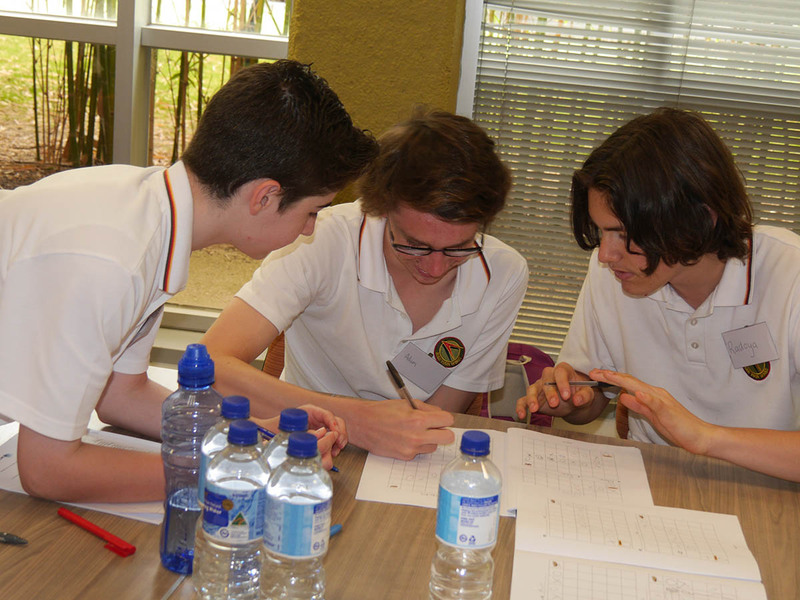 MathsCraft sessions began running in 2012, led by Anthony Harradine, Director of the Potts–Baker Institute at Prince Alfred College, Adelaide. With support from ACEMS, sessions are now regularly held by MathsCraft Session Leaders (previous attendees of this workshop), in QLD, NSW, VIC and SA. Who might be a good session leader? Wants to learn more than they already know. Conduct 2 MathsCraft sessions for schools in your area in 2019, and have your school's support to do so. We will also provide ongoing support for the running of these sessions. Run 4 MathsCraft activities in your own classroom or school in 2019 (one per term), and share (a) a picture of the resulting whiteboard and (b) a brief description of what happened in the session. These may be published on our new website (currently under development). The approaches used in MathsCraft sessions can be applied more generally to the everyday classroom. This workshop will include sessions that illustrate how topics like Pythagoras Theorem can be transformed into a research-like experience for students. Official Professional Development certification will be provided by the University of Adelaide. Shuttles will be provided from Ballarat train station on Wed 21st, and to Melbourne airport/Melbourne city on Sun 25th. 1) You will meet very clever people who are all there with the same purpose and who are highly motivated. 2) You will not talk anything social at breakfast or lunch because you will be obsessing over a problem that is bugging you. 3) You will get hardly any sleep if you get obsessed with a problem. 4) You will have a great time if you are interested in maths. 5) You will leave feeling like you can change the world." Anthony Harradine began teaching mathematics in 1984. Currently Director of the Potts-Baker Institute at Prince Alfred College, he has spent the last eleven years trying to better understand his 'failures' of the previous twenty-one. His many mentors have taught him lots about mathematics and statistics, problem solving, and research. He likes nothing better than sharing ideas with anyone silly enough to listen. He really likes mathematics. In the recent past his professional time has been filled with a variety of tasks that include: facilitator problem-solving workshops, mathematical-person in residence, leader of a unique STEM project (eduKart), Advisory Board Member (The University of Adelaide, Faculty of Engineering, Computer and Mathematical Sciences), Prime Ministerial working group member (Transforming Learning and the Transmission of Knowledge), consultant, web application developer, curriculum writer and teacher. Dr Anita Ponsaing is ACEMS' Outreach Officer and the coordinator of the MathsCraft program. 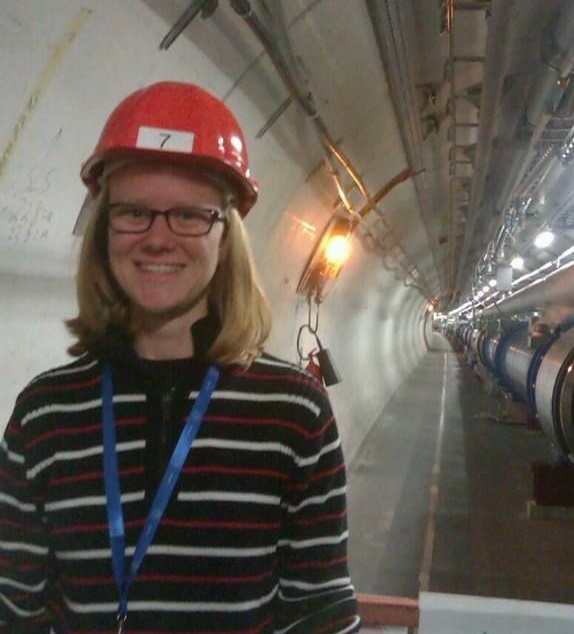 After completing her PhD in mathematical physics in 2011, she spent three years in research positions in Europe before returning to Melbourne. She loves helping others to see the beauty in maths, and is fascinated by the way people interact with mathematical questions: particularly the role that intuition plays and how it can be developed. In 2015 she attended her first MathsCraft session, and since then has become the program's in-house mathematician.